I am such a fan of in-home lifestyle sessions- have I mentioned that before? ; ). This sweet family just welcomed their third daughter (3 under 4 now!) and I helped them commemorate with a photography session in their home in Kensington, MD. I couldn't think of a better way to celebrate! 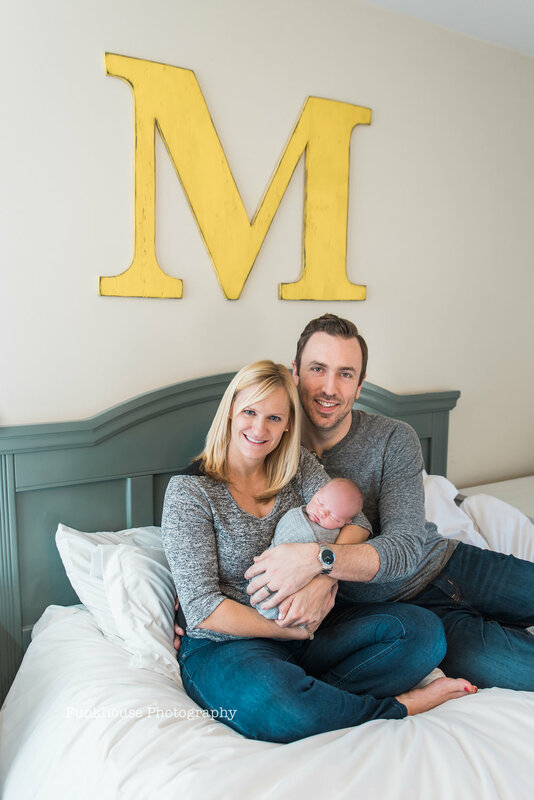 I had the pleasure this week of photographing this adorable family and their brand new baby boy in their home in Montgomery County, MD. Little man just turned three weeks old and check out that eye contact!